Hello everyone and happy Sunday to you! I hope your weekend has been going well for you. I spent yesterday locked away in my craft corner working on a few projects for the upcoming August stamp release at Peachy Keen Stamps. These stamps are some kinda cute and I can't wait to show you what I've been working on! 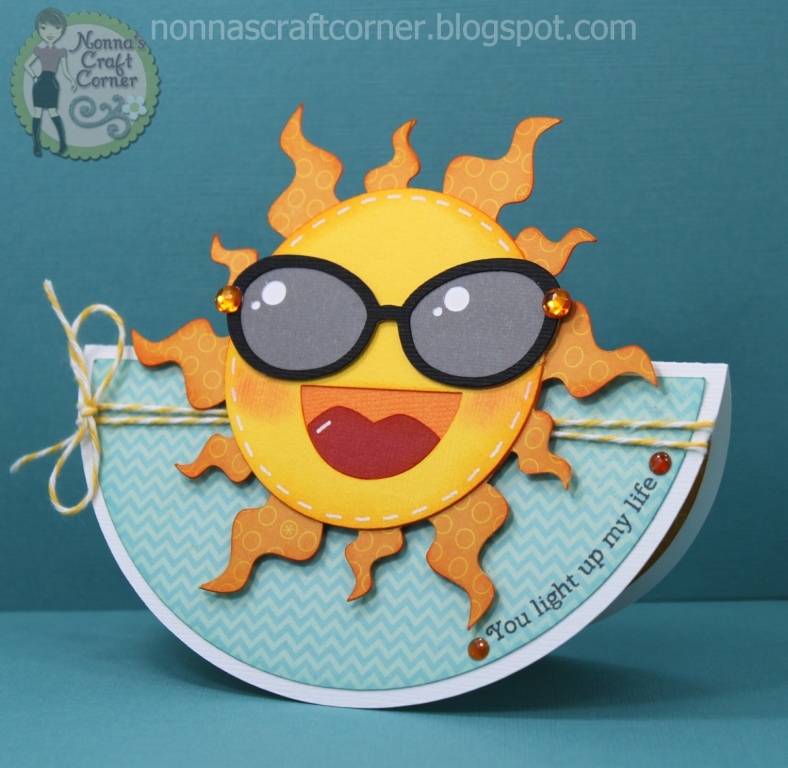 * I used a file from the Silhouette online store to created a "rocking card". It's really very simple - basically just a circle folded in half for the card base. 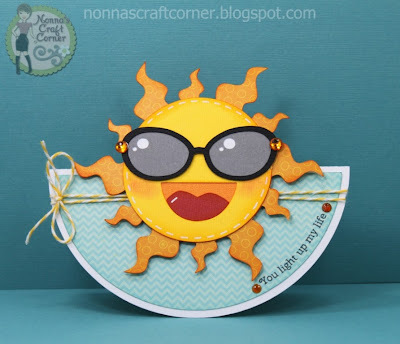 * I added a bit of "Lemon Tart" twine from Trendy Twine and a few gems to finish up this bright, fun card. Please come and share your talent with a Anything Goes project before the 9th:) !!! Really cool, Tanya. Makes me think of a "rock-n-roller." What an AWESOME card Tanya! LOVE that sun and that shaped card is perfect! Loving the shape and patterned papers you used for this card The blushed cheeks are super sweet addition. Your rockin' card ROCKS! Tanya, you seem to always make the funnest cards! This simply put a smile on my face:) I love the big glasses and the cute sentiment up the side:) So fuN! Can't wait to see what you have up your sleeve for the release! Nothing but cuteness, I's sure! Have a great day my friend! Adorable!!!! I love this image! I downloaded this little cutie. I love it!!! Tanya ~ Hehehe ~ your card just made me smile! LOVE how FUN, BRIGHT and CHEERFUL it is ~ helps because today is Monday! LOVE it! Have a great day! I cannot tell you how much I love this card!! It is just so darn cute and the rocker style is fabulous!! I absolutely love everything about this card!! That sun is adorable!! The shape is fabulous!! And the way you added the sentiment is perfect!! This makes me smile!! It's fabulous!! Over the top cute Tonya. Love the shape, the fun sun glasses. This card ROCKS!